Join us for this FREE screening and panel discussion: God Knows Where I Am - A Community Dialogue on Mental Illness. 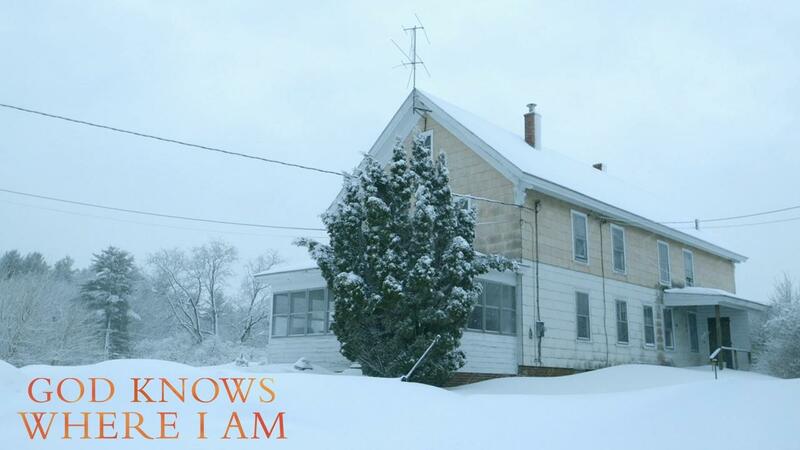 We will screen part of the PBS film God Knows Where I Am; The body of a homeless woman is found in an abandoned New Hampshire farmhouse. Beside the body, lies a diary that documents a journey of starvation and the loss of sanity, but told with poignancy, beauty, humor, and spirituality. For nearly four months, Linda Bishop, a prisoner of her own mind, survived on apples and rain water, waiting for God to save her, during one of the coldest winters on record. As her story unfolds from different perspectives, including her own, we learn about our systemic failure to protect those who cannot protect themselves. Following the film segment, we will have a moderated panel discussion to explore themes from the film and how it relates to our community. Some of the themes that may be explored are the family's role in mental illness, self-identifying mental illness and the need for treatment, homelessness, and safe discharge plans. Experts and advocates from our community will provide their points of view and offer resources. We will also be taking questions from the audience. In tackling the subject matter, the award-winning filmmakers began from a social justice perspective but their focus quickly shifted to a more intimate and artistic exploration. How does one depict the interior landscape of a person who is imprisoned by the mind? How does one build empathy for a person who is no longer alive? The story is told from a variety of perspectives, including her own, through recollection and first person narrative. In creating the film, the filmmakers were very conscious of exploring the visual medium in a purposeful manner. The depiction of Linda’s conscious state was filmed in film, using 35mm, 16mm, and super 16mm for different reasons. They employed a variety of cameras, including a 1939 Eyemo and a 1980s Aaton, each for thematic reasons-to underline notions of dreamscapes, personal nostalgia and commercial memory. As Linda was an art history major before her break with sanity, the aesthetic and visual nature of telling the story was explored in ways that reference both film history and art history. They also used performance to access the diary, and actress Lori Singer is mesmerizing as the voice of Linda. As one of the characters in the film states, we live in the most powerful country on earth, yet our society fails to protect those who cannot protect themselves. God Knows Where I Am is both a study of systemic failure and also a testament to the artistic and independent spirit of Linda Bishop. In a state known for its motto of “Live Free or Die,” Linda wanted to live free but given her mental illness, this proved to be a fatal decision. The film poses many provocative questions including the issue of civil liberties of the mentally ill—if one’s mind is not free, how can one truly exercise free will? The result is a unique documentary that challenges the boundaries of the medium artistically and at the same time questions our societal norms for dealing with the mentally ill and homeless.